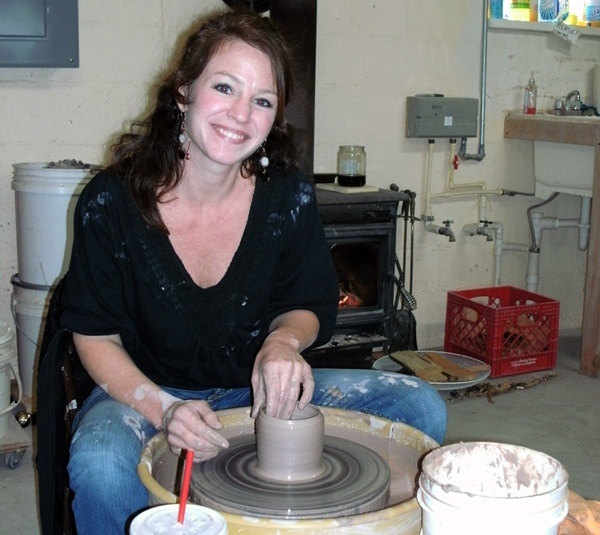 In 2004 I opened my studio for community clay classes and I’ve been teaching ever since. I currently teach 5 classes per week. The classes tend to stay full but when space allows we do take on new students. 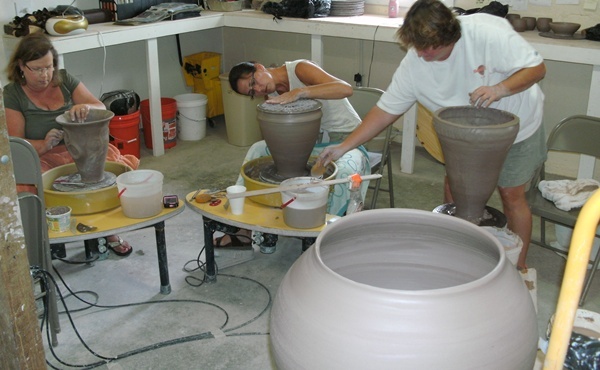 Intro classes begin with a basic overview of wheel thrown pottery techniques including wedging, centering, throwing, and trimming. The first 8 week session is dedicated to getting acclimated to all these techniques. This is a craft that demands lots of practice, and at first, a good sense of humor. Many of my student have been taking classes for 5-6 years. 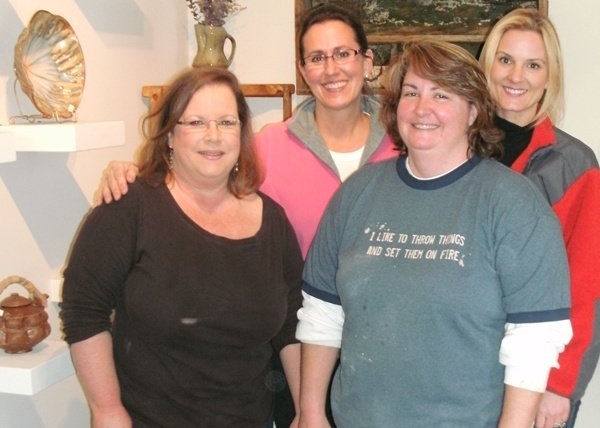 Many have set up studios in their own homes and now show and sell their work along with the pro’s. Go Team! We offer 6/2 month sessions each year. 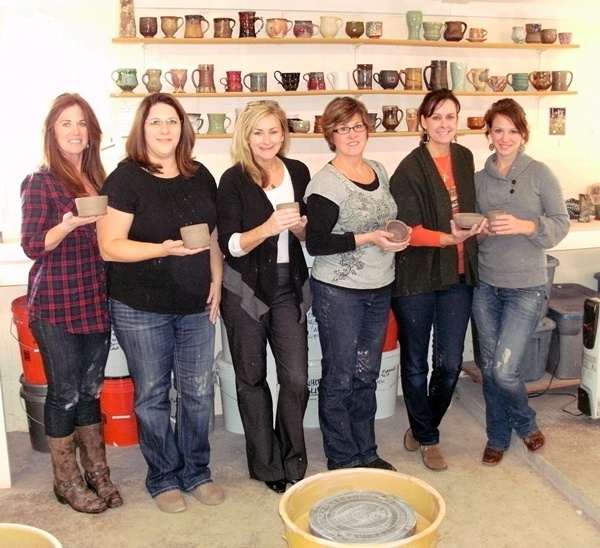 Each session is 8 weeks long and includes 7 weeks of wet clay work and glazing on the final day. Classes are $40 per week or $160 per month. A full session is 2 months. Payment for each month is due on the first week of each month. 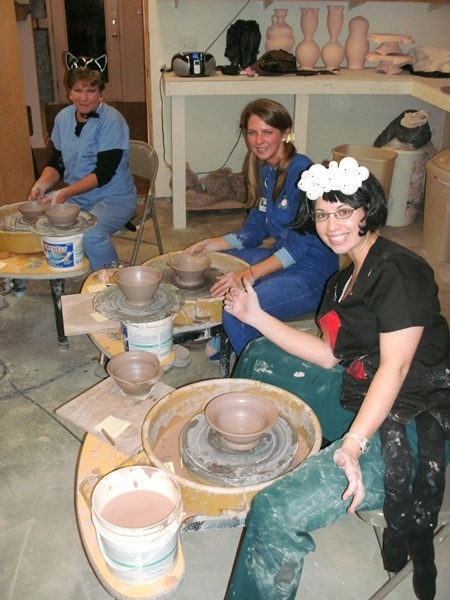 Price includes clay and use of our tools, bats, and wheels. 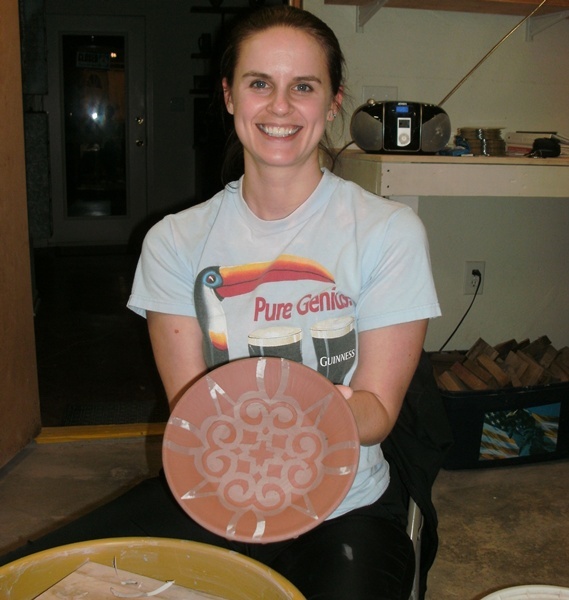 It also includes several firings and use of our glazes. There are no additional “lab” fees as the price is comprehensive. What to bring? Bring a hand towel each week and proper payment on the the first week of each month. What to wear? Jeans and a tee shirt always work. Clay will wash out of everything except white clothing. 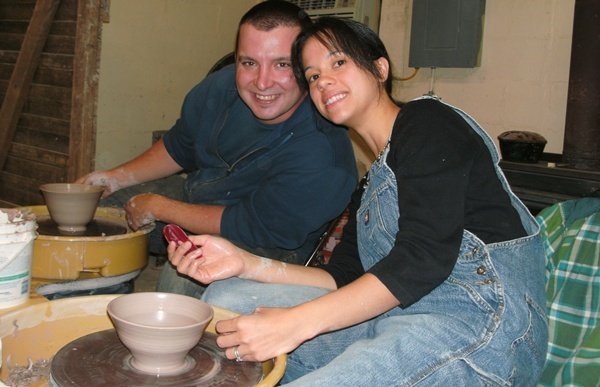 You don’t have to wear your pajamas or dress like a slob…we’re making pottery, not birthing hogs. What if I’ve never done this before? That’s ok! You don’t have to know how to speak Spanish to take a Spanish class…that’s why you take the class! Is it kind of like the movie Ghost? Yes, it’s exactly like Ghost. hello! 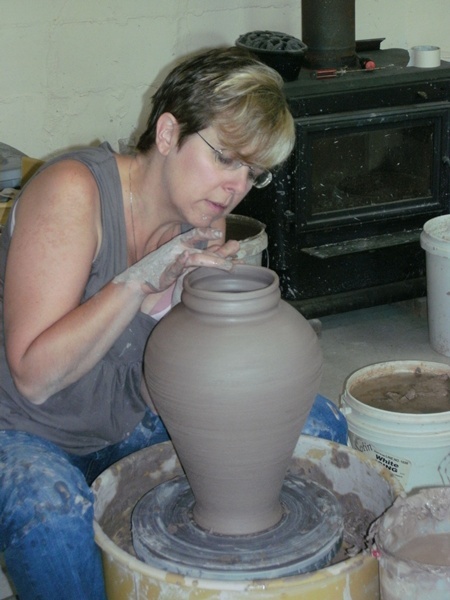 Can you please let me know the times and dates of your pottery class offerings. Thank you!